Wedding cakes are a piece of art, the centerpiece of your reception. It should stand out and match the theme of your wedding. Wedding cakes play a significant part for the bride and groom on their big day where they perform their first task with the ceremonial cutting of the cake. The groom’s right hand has to be on top of the bride’s hand. The groom serves the first piece of cake to the bride and then the bride serves it. The price gets higher the more detail the cake’s design you want. To save on cakes with your little budget, try to minimize some of the fancy designs and embellishments. You may choose a low-priced, icing like butter cream rather than fondant. If you know how to bake, might as well bake and design your own wedding cake and follow the step-by-step guide you can find anywhere online. 1. Keep your wedding cake chilled whenever possible. 2. Avoid chocolate mousse or cream frosting if your reception venue is outdoor. 3. Fondant helps preserve and protect the wedding cake longer. 4. The size of your wedding cakes should be relative to the number of your guest. 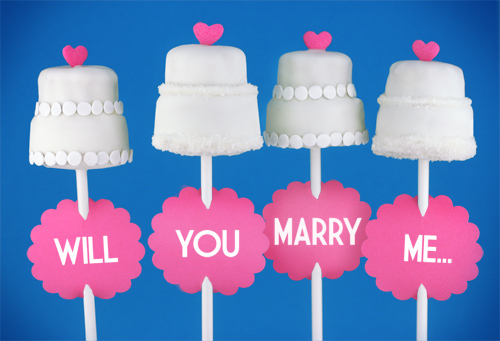 Wedding cakes come in different sizes, shapes and flavours. It is embellished with toppers, icing and flowers, both artificial and natural. Browse through some of the classic and creative confectionery here to find a wedding cake that complements your taste. To find out more, you can go to The Knot and check out their wedding cake gallery for more details. Since getting your wedding cake is a personal choice, prepare your ideas about the design and style that you want before you discuss it with your wedding cake supplier.